A couple of weekends ago, one south city woman upheld her bi-annual tradition, despite the blazing sun and a heat index of 109 degrees. 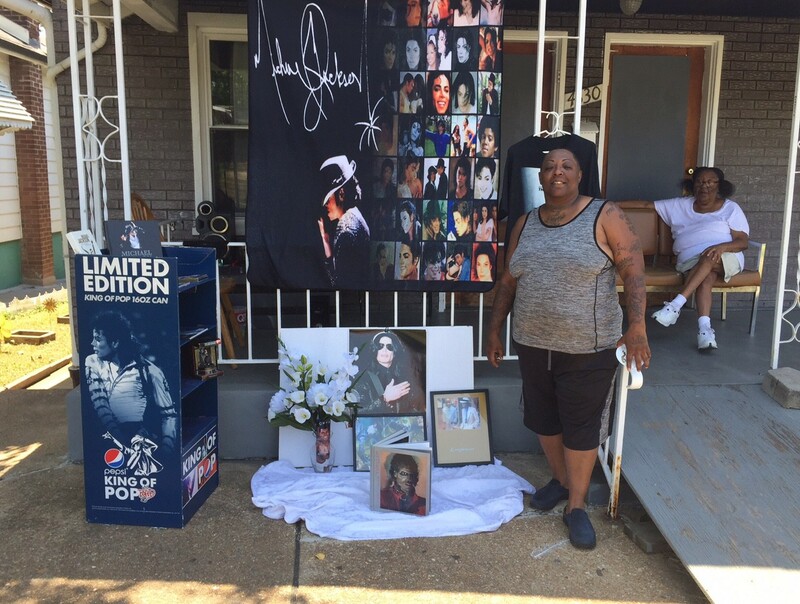 Demetria “Dee” Evans started her Saturday morning by dragging her stereo system out to her front porch and arranging her music memorabilia to be viewed by the people traveling down nearby Chippewa Street. 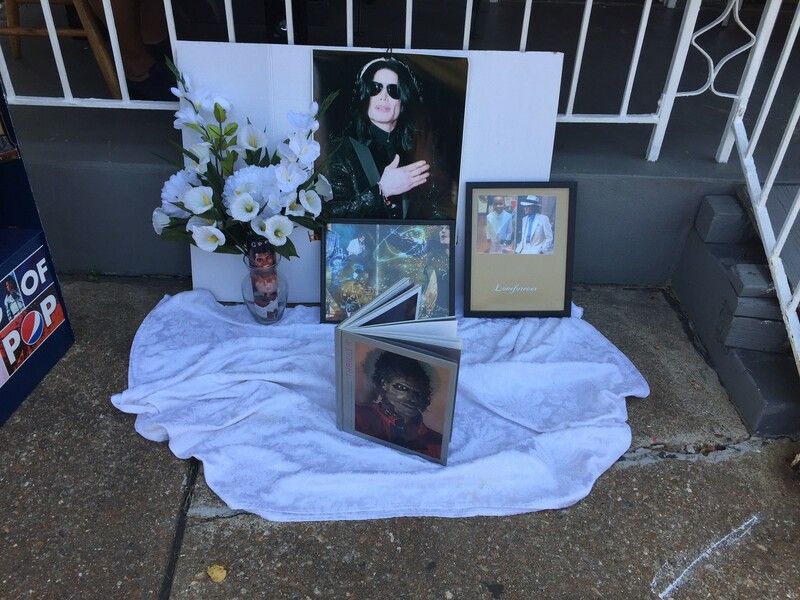 Evans is a Michael Jackson super fan. She’s celebrated his birthday every year since she was a kid, and she now also holds a memorial each year on the anniversary of his death. Evans’ fandom dates back to the first time she saw the Jackson 5 on the Ed Sullivan Show in May of 1970. Back then, Michael Jackson was a bright-eyed kid with incalculable talent and charisma to burn. After that magical moment in front of her television, Evans was hooked. She began a life of obsessively following Michael Jackson. She used Jackson as her fashion muse (winning awards at school for her creative ensembles) and he also inspired her to dance and sing. She calls him “Mike” and speaks of him with a smile, explaining how she felt that he encouraged her to shine. Since that first exposure at age seven, Evans has been collecting any Jackson items that she could find, including rare items that weren’t ever even offered for sale. (She laughs when she recalls weeks of hounding Pepsi corporate headquarters until they finally sent her a display case from when Jackson was a spokesperson.) 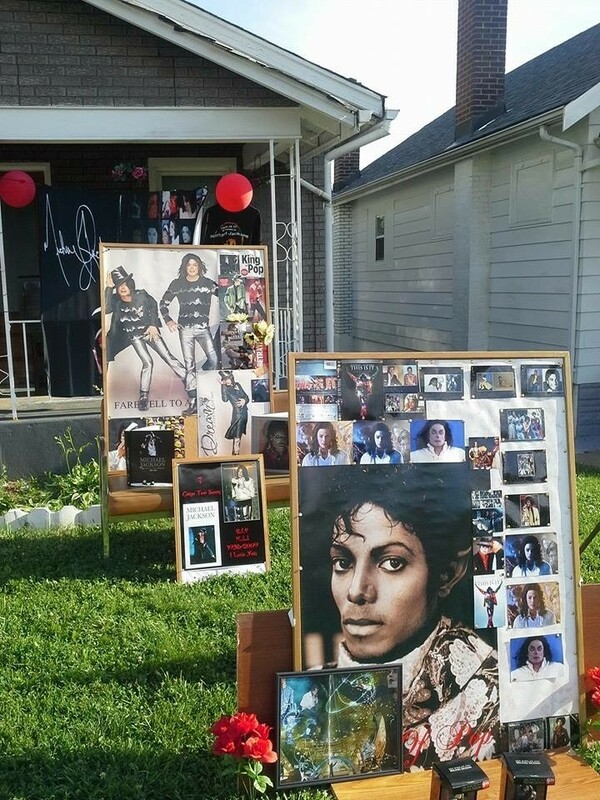 Each year she gathers up all of her memorabilia and thoughtfully arranges it all on her front lawn. 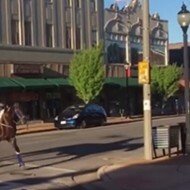 She blasts Jackson’s music all day from her porch and soaks up the cheers from passersby on Jackson’s behalf. That Saturday afternoon I spent a couple of hours hanging out with her and her mom on her front porch. There, just a couple of blocks from the former site of Frederick’s Music Lounge, we kicked back and talked and watched all of south city roll by. 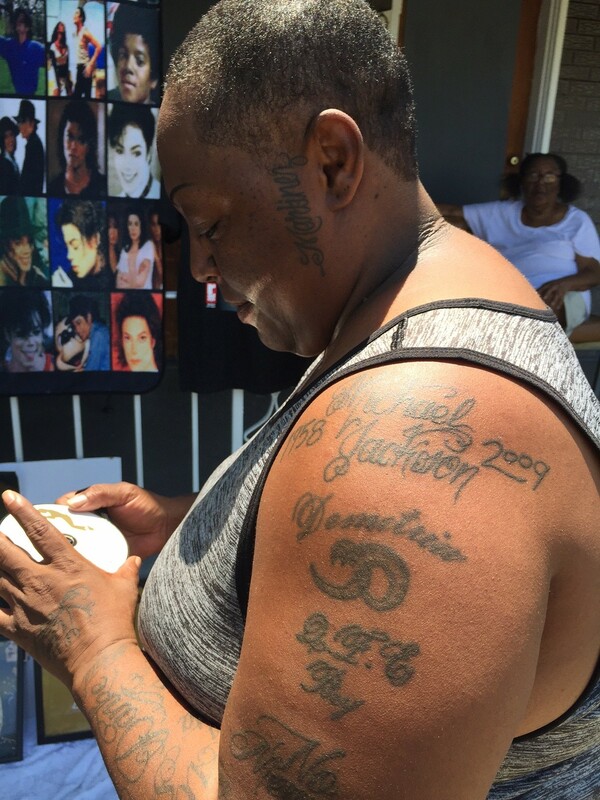 On that hot summer day, Evans told me that she’s visited every major Michael Jackson destination in the United States (except for Neverland) and that she knows of no other bigger Jackson fan than herself — with the possible exception of Corey Feldman, with whom she feels a strong kinship. She told me about how her mother spent months saving up to surprise her with tickets to see Jackson at the Checkerdome (the St. Louis Arena) on the Bad tour in 1988. Evans also said that she can’t believe the child abuse allegations against Jackson and offers a list of Jackson’s many philanthropic acts as a counter-argument. I didn’t push her on this topic because I’d already been thoroughly charmed by her kind smile, decades-long devotion and the passionate way that she sang along with his songs. 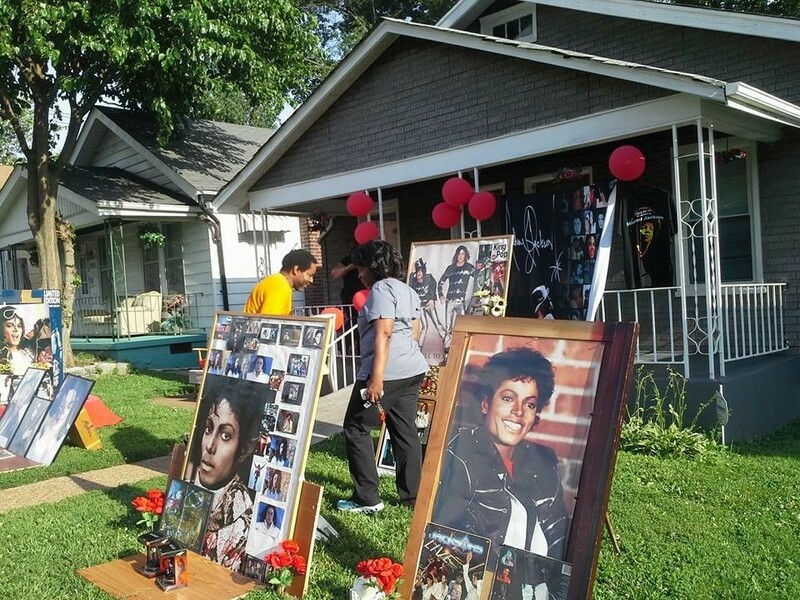 In the past, Evans’ pop-up tribute museum has included balloons and life-size cutouts and rare Jackson vinyl, but this year the collection was a bit more subdued. Sadly, Evans’ husband died unexpectedly a couple of years ago and she had to quickly scrape together money for his cremation. 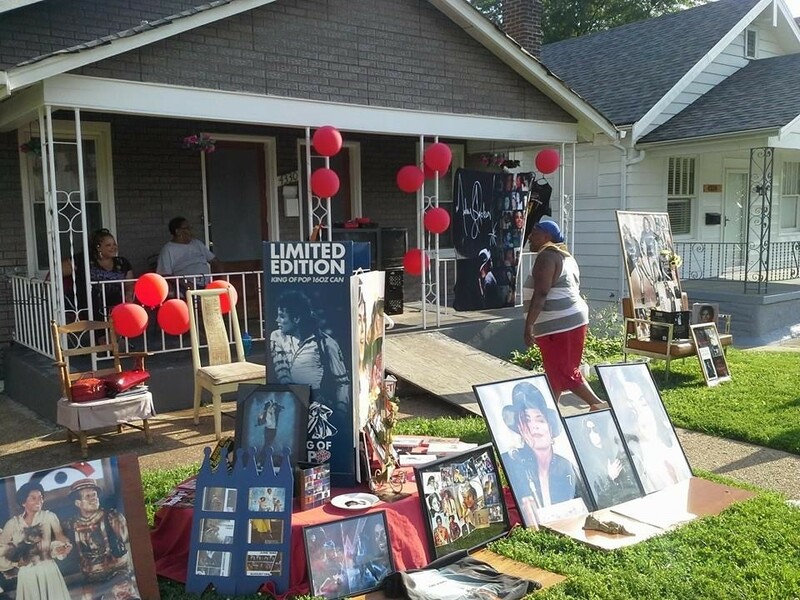 During this time she sold many of her most precious possessions, including much of her Jackson memorabilia. When Evans told me about her husband’s death she said that she wished I could’ve seen her collection before she sold the majority of it. I told her that I’d seen pictures of her spread from a couple of years ago that were taken by my friend. 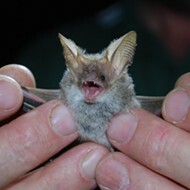 Evans asked to see the pictures, and when I showed her, she began crying. Evans asked me to send her the photos that my friend took a couple of years ago (and to include them in this story), and then told me that during the week that Jackson died she got his name tattooed on her arm, and about how friends and family showed up from miles around to console her as if she’d had a death in the family. As if on cue, a car pulled up in front of Evans’ house. It was her brother and sister-in-law, arriving from two states away so they could all spend the day together. 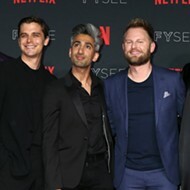 I talked to them for a while and then excused myself, not wanting to intrude on a private reunion. As I was about to leave, Evans looked around and said, “I do it for the fans. And for Mike.” She said she thinks of Jackson as family and her brother nods in agreement. Which makes sense, really. Michael Jackson has been a part of their family for 46 years.